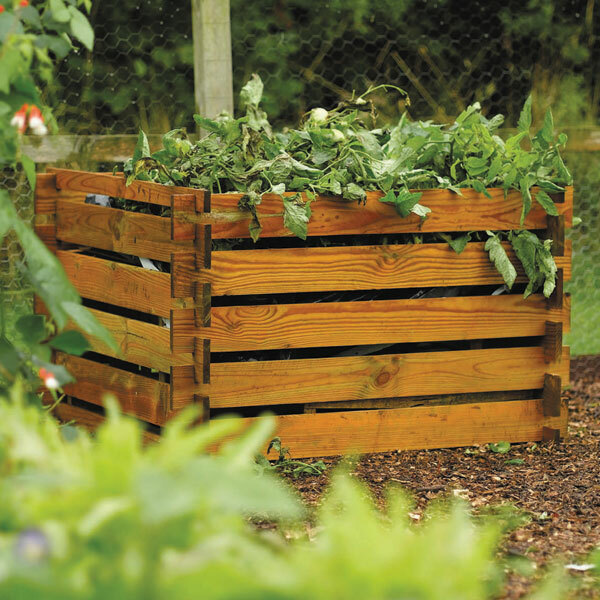 This FSC Wooden Compost Bin is a simple but effective addition to your garden. 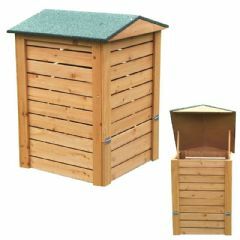 Strong, durable and sturdy, it is made from ACQ pressure treated timber pieces that simply slot together. 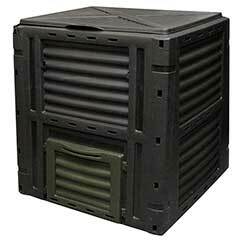 Customer Note: Treated with ACQ pressure treatment, this product is designed to last. While assembling this product it is advisable that you wear gloves, and it is also inadvisable to burn pressure treated timber. So pleased with my compost bin. 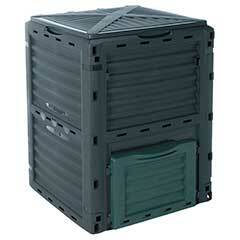 I am very pleased with my new compost bin. It was easy & quick to put together, in place in minutes!! Competitive price & free postage!! Thank you very much. These are great value for money especially with 15 years guarantee against rot. I will of course keeping proof of this. 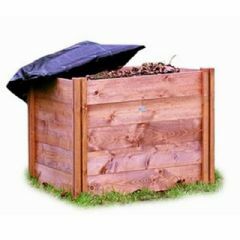 This is my second compost bin, the other is now full and resting. 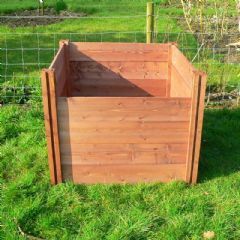 These are great items, they look good in the back garden, they compliment the raised beds and just do not look out of place. The garden and vegetable waste breaks down over time and I’ll soon be using home made compost which cost nothing and gives me the satisfaction of knowing I’m using completely organic materials in the garden. If I had room for a third bin, I’d have it now. Great to get so easily and already getting full!  Easy to assemble, great value for money would purchase again.